Some places get notorious as haunted for no specific reason really. People see a house vacant for years and start fearing it. Someone dies in a house in mysterious circumstances and the house is immediately labeled as haunted or cursed. Vrindavan or Brindavan society of Thane is a shining example of one such place. This society is a large residential complex, foundation of which was laid in the year 1984. The project was completed in early 90s but since at that time there was not much population around the area, so not many of the flats sold out. 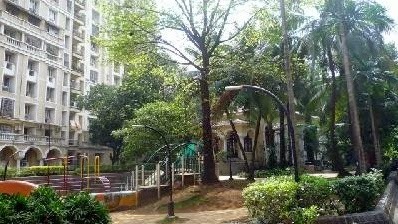 Now considered to be centrally located, this locality was initially considered to be in a no-man’s land, away from the city. Due to this reason, for many years, these buildings remained empty, with not even a single resident. Now we all know what happens to houses that remain vacant for way too long. People start believing that those houses become shelter of supernatural elements like ghosts, demons, jinns and evil spirits. Vrindavan society was no exception to such beliefs. If we are to believe the stories that are being told by many these days, there was a suicide in one of the buildings, Building 66B to be specific. The person who jumped off his balcony was an elderly person. No one knows why he committed suicide as there was no note left behind but ever since his death, residents of the building have felt presence of an un-natural force in the complex. A force that they cannot see but know that it sees them. Residents often complain that even while in their houses; they get this feeling that someone is peaking in from the window or standing out in the balcony. Some people mention hearing strange noises even in their own bedroom. The most interesting tale is of a security guard getting slapped hard on his face by something that he couldn’t see. Some people feel that they are being followed while walking in the corridors but did not find anyone behind them when they turned around. There are also talks that these buildings were built on an ancient burial ground and the restless spirits now haunt the area. Now all these are stories that you will find circulating over the web. If you speak to the residents, at least the ones looking educated and sensible enough, they will deny any such incident or gossip. And he is quite right. It would not be incorrect to call Vrindavan as one of the posh areas of Thane. It is beautifully located and is being inhabited with wonderful people living in well built flats. Surprisingly, there have been more than one suicide in the complex but people only talk about one death which kind of shows that they do not know what they are talking about. Further, there are hundreds of places which become popular among people wanting to kill themselves primarily because of the ease of dying. Majority of these places are from where one can jump to his or her death. Delhi’s Janakpuri District Center is one of many such places but not all these places are called haunted. There is however one such place not far from Thane that has a similar kind of lore attached to it. 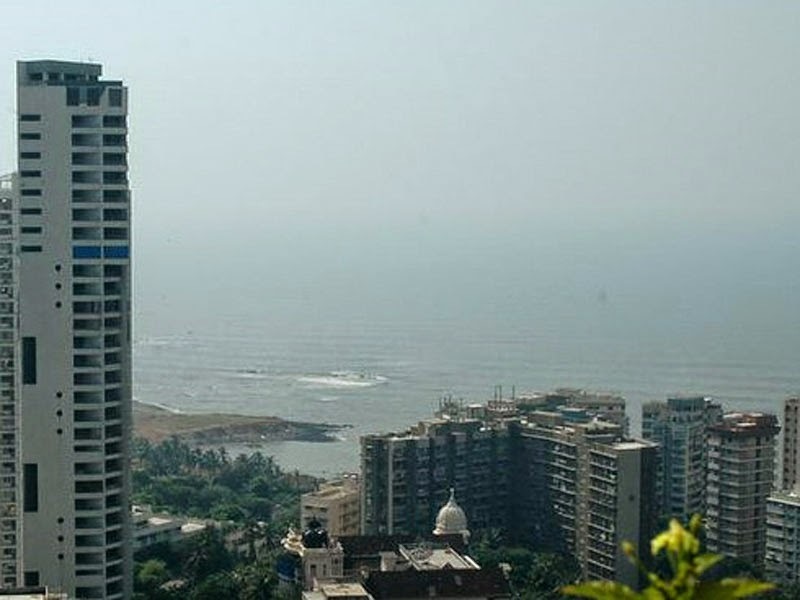 Grand Paradi Towers of Mumbai are also believed to be haunted and the very reason is because several people committed suicides by jumping off the balconies. What everyone fails to see is that people die all the time. Not everyone has a gun available to commit suicide and not everyone is brave enough or has a desire to be shredded in pieces by walking in front of a moving train, even if they have a death wish. High places merely offer a convenience of dying. There is no curse that is driving people to kill themselves. The only curse is of problems that everyone faces in life; some just give up rather than facing them. One cannot really blame a person who initiates these kinds of stories. It is people who want to listen and believe that the blame should actually go to. People include Vrindavan’s name in one of India’s top 10 haunted sites but think about it, if a flat in Vrindavan goes up in the market at dirt-cheap price, who would refuse to buy it saying that the site is haunted? Everyone would be more than eager to grab it at the first chance they get. Where is the fear of ghosts and curses then?